It’s that time of the year already, unbelievable! 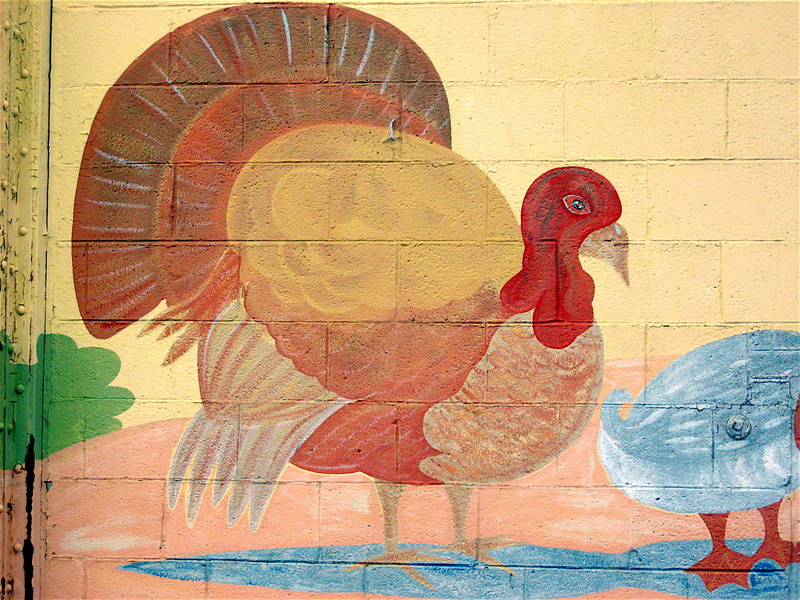 I hope everyone has a peaceful, warm Thanksgiving. As you enjoy the day, please take a few moments to look around and be thankful for all you have. Be grateful for a roof over your head and a warm house in which to sleep. Be thankful for having food on your table. Be thankful for family and friends. 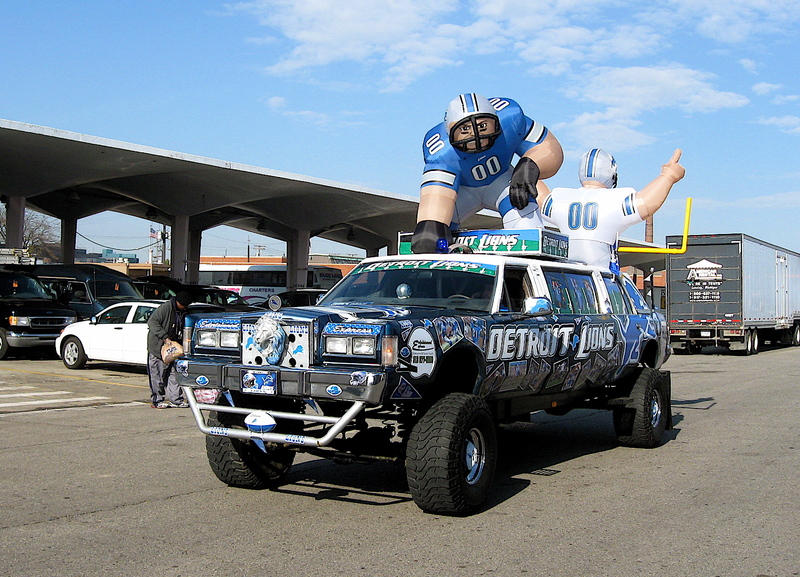 Enjoy the parade, cheer for the Lions and savor your hot turkey dinner! It’s autumn in Detroit, and most of the area’s tree leaves have turned from solid green to a colorful earth tone shade. They have since dropped to the ground to decay into the soil below. What are left are bare trees with gray limbs that can appear somewhat ghostly and eerie, especially in the evening moonlight. 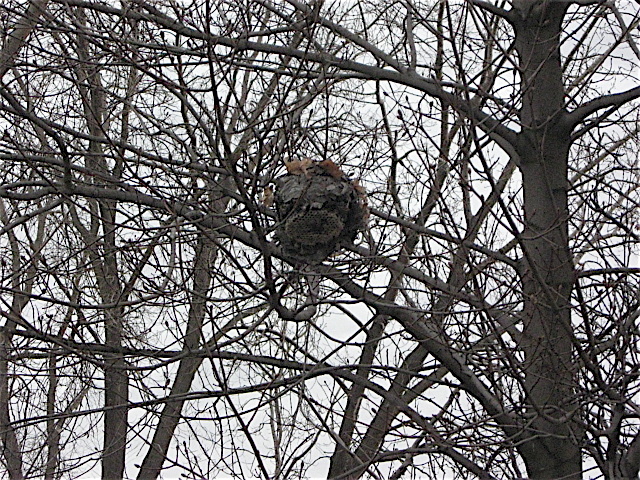 The naked trees can also expose the unforeseen, such as an active squirrel’s nest; a rotting limb that is infested with busy insects; or an old faded birthday balloon that has become tangled in the limbs. Sometimes, the most unexpected appears, such as the hanging head I spotted. Well, it’s not really a hanging head in the truest sense, but a wasp nest that looks like one. It is round, about the size of a basketball, and appears to have a full head of hair made from ordinary falling leaves that have landed on top of it. The eyes and nose are made from unusual indentations within the sturdy paper wrap of the nest created from wood pulp crafted by the wasps. The round mouth of the hive has a natural look, made from the small hexagonal cells used to make and store honey within the hive. It’s an interesting looking beehive. When I saw it hanging about 12 feet above the street I was riding down, it instantly reminded me of a human head. I never know what to expect or see while bicycling the streets of Detroit, and that’s one of the many beauties of riding here. 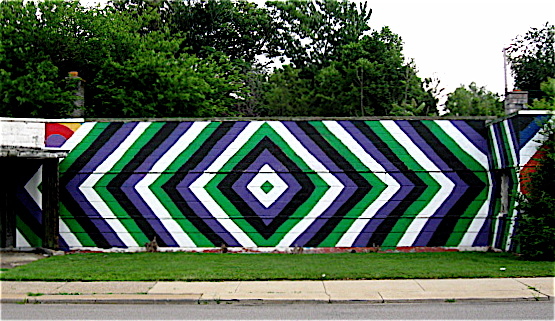 A few weeks ago I spotted another of these unusual walls on the city’s northwest side. Like the others, it has a similar geometric pattern, but in this case, it looks more like a diamond that slowly fans out from its center. This particular one is painted on a tall, cinderblock wall and incorporates a simple, yet eye-catching design. It reminds me of something one may find on an antique quilt. There is some similarity between all versions, and that makes me wonder if it’s the same artist doing them all. Regardless of who painted them, in all cases it must have taken a tremendous amount of time and effort to figure out the various angles and color schemes. 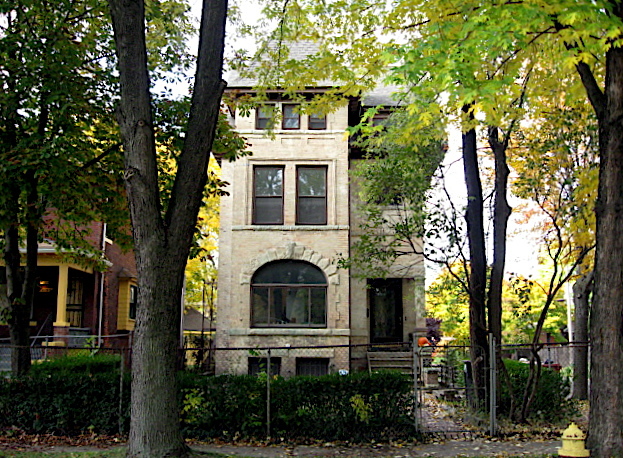 It’s no secret that Detroit has an abandoned house problem. Since the city filed for bankruptcy, the abandoned, blighted homes seem to be the main focus of many national news outlets. 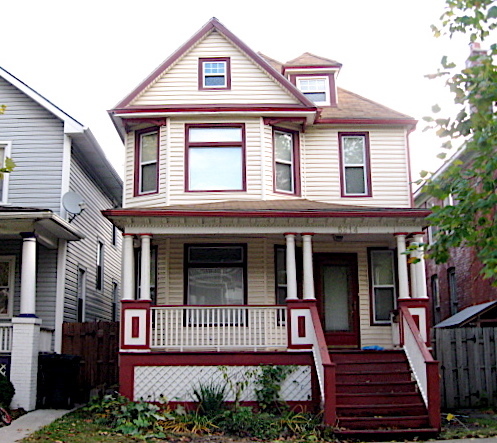 Contrary to what’s being shown or written about by the outlets, there are plenty of viable neighborhoods in the city where people care about their homes and strive to maintain and restore them to their past glory. 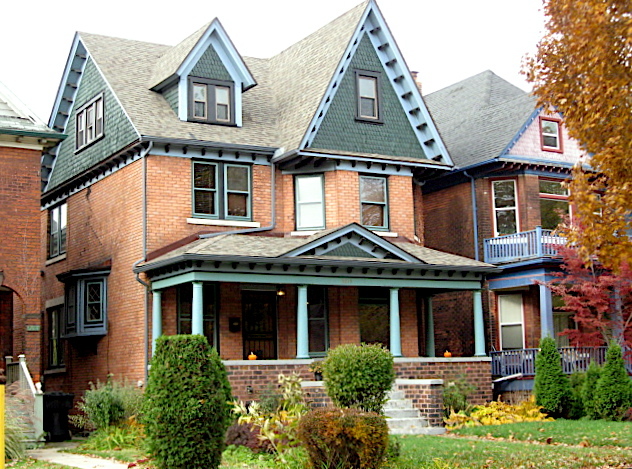 One such place is the Historic Woodbridge Neighborhood, listed on the National Register of Historic Places. 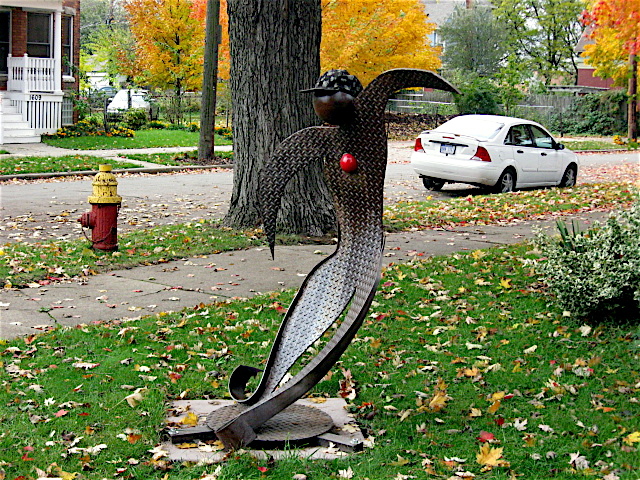 It is located just off Grand River Avenue near West Warren Avenue, about two miles northwest of the city’s center. It’s a good-sized neighborhood with hundreds of 100-year-old homes that have been, or are in the process of, being restored. The charming old neighborhood is full of two-and three-story Victorian era homes and apartment buildings constructed of wood or brick. 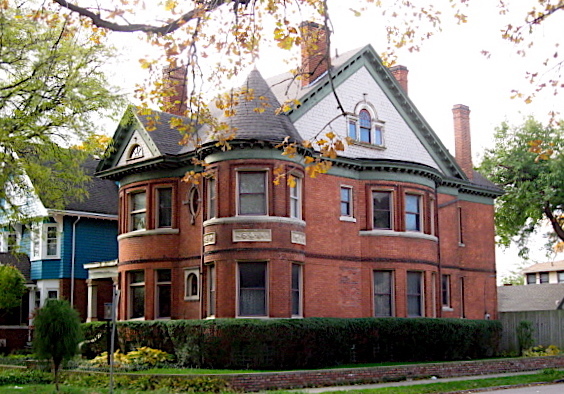 Most were built between 1870 and 1900. 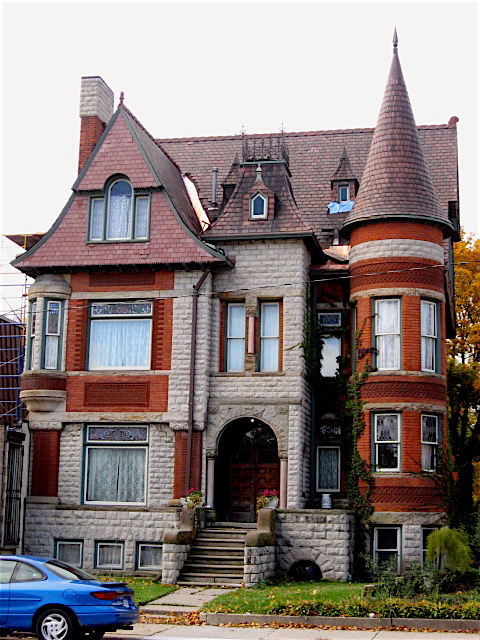 There are a variety of architectural styles represented there including Queen Anne, Romanesque, Second Empire and others that were popular at that time. 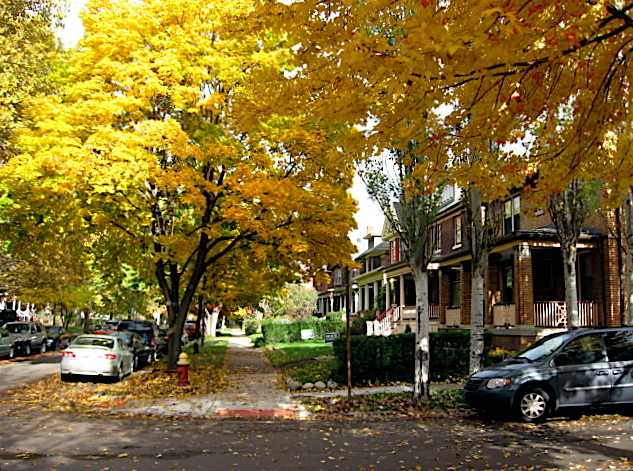 The tree-lined streets of this quaint neighborhood (in particular Commonwealth and Avery) are filled with the historic places, and many are painted in period colors. In addition to the large, beautiful homes found there, the neighborhood has a relaxed small-town feel to it. I’ve ridden through this tight-knit community plenty of times over the years, and I’m always impressed with its sense of community. It’s one of those densely populated Detroit neighborhoods where people seem to know their neighbors and take the time to stop and talk to each other. 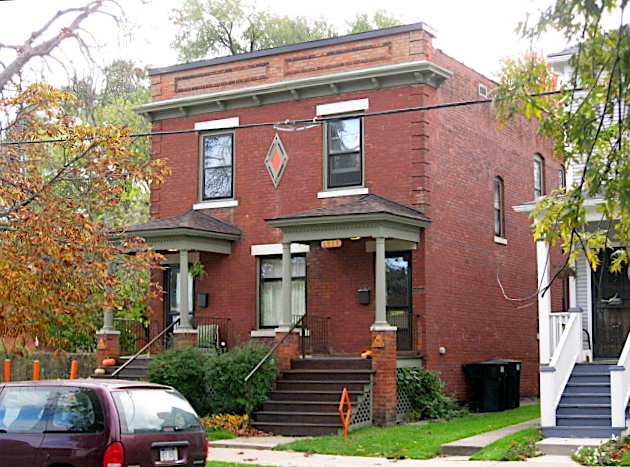 Like many stable Detroit neighborhoods, Woodbridge is home to a diverse group of residents. 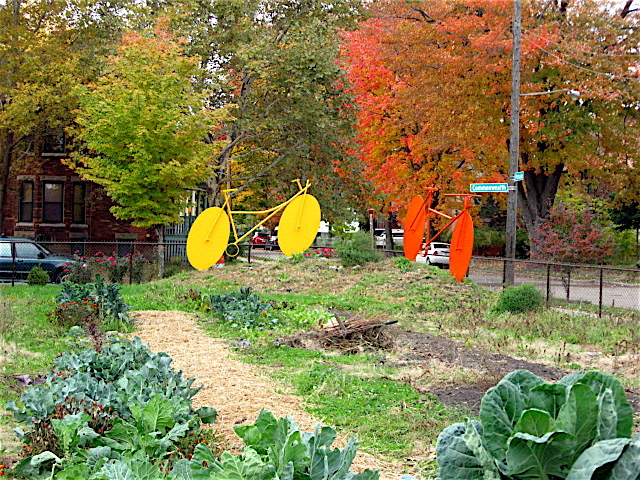 There are artists living in the community that have installed sculptures in community gardens and have painted alley walls in vibrant colors. 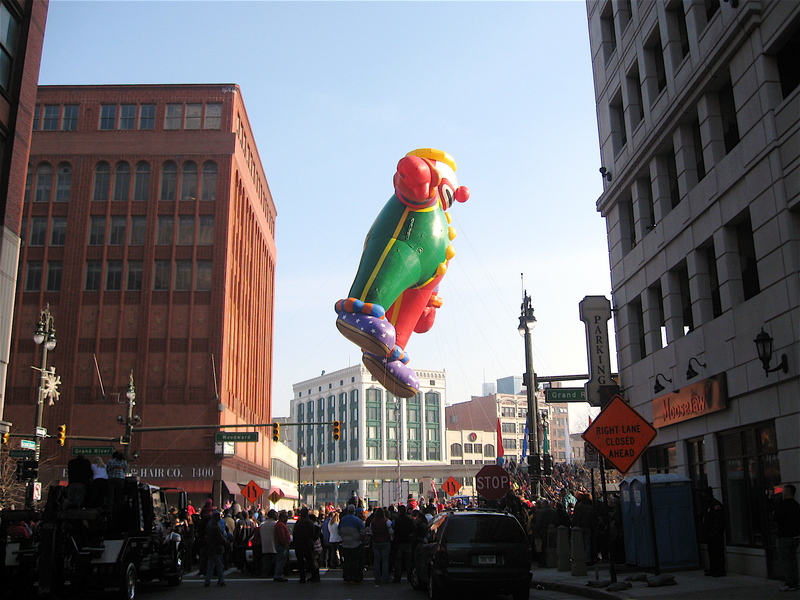 Due to its close proximity to Wayne State University, college students live in many of the area’s apartment buildings and flats. It’s also a place where families with small kids, in strollers or in-hand, take leisurely walks along the sidewalks. It’s not uncommon to see older folks out walking dogs, waving to others sitting on a large porch as well. Quaint old neighborhoods like Woodbridge can be found across the city. They offer a refreshing contrast to what the national and local media coverage seems to show on a regular basis.